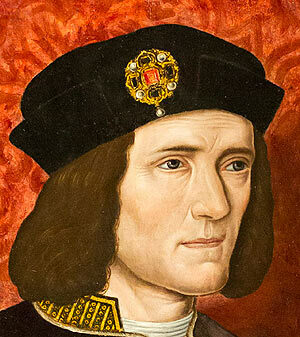 Some 527 years after his death, Richard III’s skeleton was found beneath a car park in Leicester. The Plantagenet Alliance, a campaigning organisation representing a group of collateral descendants, sought judicial review of the decision taken by the Secretary of State to exhume and re-inter the monarch in Leicester Cathedral without consulting them and a wide audience. The case had become a bit of a stalking horse for Lord Chancellor Grayling’s plans to reform judicial review: see my post here. Grayling may have backed off for the moment from his specific plans to reform standing rules, though he still has it in for campaigning bodies participating in judicial reviews. As we will see, counsel for MoJ had a go at saying that the Alliance had no standing, but to no avail. But MoJ had better points, and was successful overall. And this is the moral of the story. You cannot sensibly justify the bringing of entirely meritless judicial review. But it is wrong to seek to defeat a meritorious claim by relying on standing points, without considering the public interest of the underlying case. As I pointed out in my post, the irony of the cases chosen by MoJ last year to make its case that the standing rules were all very awful were ones where government had been behaving unlawfully. The Alliance’s principal case was that there was an obligation on the part of the Ministry of Justice to revisit or reconsider the exhumation licence once the remains had been conclusively identified as those of Richard III. It does not contain any procedural requirements which may be connected with the obtaining of licences. But the statute is supplemented by the general principle of common law fairness in dealing with those who may be affected, out of which such fair procedures may be implied. The more complicated the statute and the more procedures are expressly provided for, the less room there is for implying additional machinery. The exercise of implying fairness rules was one essentially of intuitive judgment . the duty to have regard to relevant considerations – which added nothing new to the case. The law on each is summarised, the first in 10 propositions at  of the judgment, the second in 6 propositions at , and the third at . If the whole territory is unfamiliar, do read these paragraphs, but I will do my best to summarise the most important of them. the exceptional case where a failure to do so would lead to “conspicuous unfairness”. A duty to consult is not open-ended: P4. It will not be required as part of a statutory function if it would require a specificity which it is for a legislator not the courts to impose: P5. It will not be required if a democratically elected body has decided not to impose such a duty: P6. The doctrine of a legitimate expectation of consultation does not arise merely from the scale or context of particular decisions; that would lead to open-endedness, and no public body would know where it was: P9. Even if a legitimate expectation did arise, it must be shown that there was unfairness amounting to an abuse of power: P10. Applying this to the facts, there was no established practice of consultation , and exceptionality did not simply arise because of the (probably unique) facts of disinterring a long-lost English king . The exceptionality argument also fell foul of P4 and P9 open-endedness for any consultation process. A decision-maker need do no more than take reasonable steps to inform himself: P1 at . And it was for him to decide what those were, subject only to an (onerous) Wednesbury challenge to that rationality: P2. A court should not intervene merely because it considered further inquiries would have been sensible or desirable: P3. It should ask itself – what material did the authority have, and only strike the decision down if no reasonable authority could suppose that those inquiries were sufficient: P4. That last may involve consultation, but not as an issue of procedural fairness, but because its duty to inform itself sufficiently: P5. The wider the discretion on a decision-maker, the more important it is that he has all relevant material before him: P6. The Court looked at the information before the SoS, including the then stated preferences for where Richard III should be re-interred, and the rival views expressed in the media. This information included the fact that there could be no close relatives. The prime mover of the Alliance was a 16th generation great-nephew. Richard III had no surviving children at his death, but the potential number of descendants might number in the millions. What new factor might then emerge to give the SoS more information? Answer, said the Court, nothing significant: . Hence no Tameside basis for quashing the decision arose. 80….The Defendants insist that the Claimant lacks a sufficient interest in the subject matter and therefore has no standing (locus standi)…. 81. A claimant in an application by way of judicial review must have “sufficient interest in the matter to which the application relates” (section 31(3) of the Senior Courts Act 1981). The phrase “sufficient interest” has traditionally been given a wide meaning. The direction of travel of the authorities……has been an increasingly catholic view of locus standi (see e.g. R(Residents Against Waste Site Ltd) v. Lancashire County Council  EWHC 2558 (Admin)). 82, It is fair to say that the relationship of Mr Nicolay and the other collateral relatives to their ancestor, Richard III, is, on any view, attenuated in terms of time and lineage. The Claimant’s interest – indeed, that of the 16th, 17th and 18th generation descendants – may not suffice for personal standing. However, the points raised have a broader public interest sufficient for the Claimant to have standing in this case as a public interest litigant. The underlined words are probably not what Grayling wants to read. He would like there to be rules for personal standing, and nothing else. In the end, it appears to have been all one-way traffic against this claim. But I do recommend that public lawyers (exam-taking, aspirant, or established) read the pellucid material on fairness. And I hope that the Lord Chancellor will have read and reflected on the very to-the-point 3 paragraphs on standing. as one chronicler put it. Ironic that people should now be fighting about where he is reverently to be buried. But Leicester is firmly in the ascendant over York for that honour. Since the Chancellor recently majored on ‘Fairness’, it is essential that this Government starts to take Lord Beecham’s advice: (to) “stop relying on assertions and start relying on evidence”. As I am just a mere commoner to understand all the legalities here but if comes to my thinking that this is not to due with respect for Richard lll and where to rest his poor bones in York or Leicester but who will profit from his tome with tourist attraction. Why do they just not come out with this as no one can relay say if he was love in York or Leicester , and for Leicester to come up with we have things named after him is laughable. How much has this now cost to come up with this outcome, total nonsense, he was better off in the car park.